Heavy rains in Kenya have revealed a fault line that geologists say could split Africa in two over the next tens of millions of years. The large crack in southwestern Kenya stretches several kilometres across land but remained hidden until recent heavy rains revealed the crevice. The fault line, which some geologists say is the result of seismic activity in the area, caused part of the Nairobi-Narok highway to collapse as it continues to grow. The crack ripped open the Nairobi-Narok highway, sucking in cars as rainwater washed away debris – most likely volcanic ash from Mt. Longonot – that was previously filling the crevice. One resident saw the crack run through and swallow his home just after he was able to gather some things and escape, according to Reuters. Heavy rains in the final days of March also collapsed hospital walls and flooded entire neighbourhoods. 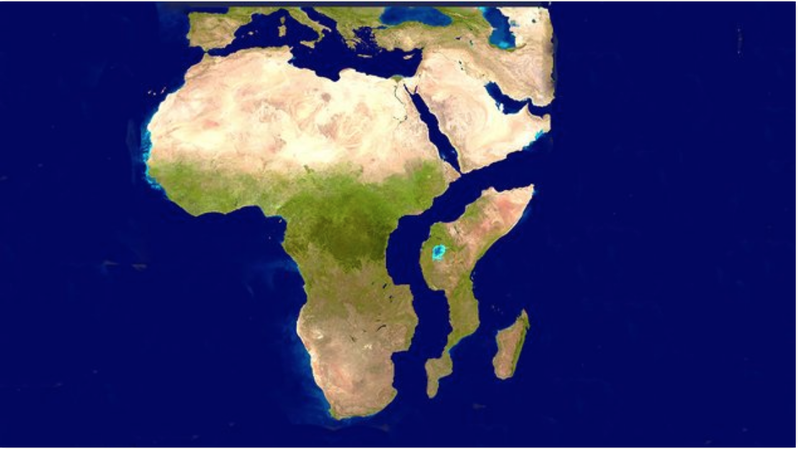 However, geologists are most interested in how the rains revealed a new fault line that supports evidence of the African continent splitting in two. The huge crack is part of the East African Rift System (EARS), which is part of the larger Great Rift Valley, stretching thousands of kilometres from the Middle East into Africa. The rifts are caused by the movement of tectonic plates – the same kind of activity that split Africa from South America roughly 138 million years ago. In this case, the Somali plate in the east and the Nubian plate in the west are moving apart from each other, gradually tearing the surface of the earth apart. Over the next fifty million years, the movement of these two plates will create a large island in the Indian Ocean, comprising of parts of Ethiopia, Somalia and the Horn of Africa.